Today I am honored by a shout out from a seriously cool, totally hip, awesome gal who lives in Chicago and just got back from Fashion Week in NYC. UM, yes, I already expressed my jealousy! I met her through ETSY and she has the greatest website full of eye candy! 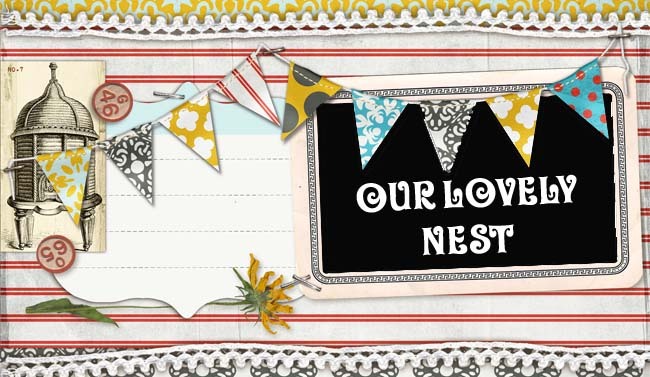 Today she featured me and my Lovely Nest brand! So sweet! Check it out HERE. Hover over the needles until you see the one that says LOVE IT... and click on it. There we are! She makes really beautiful jewelery and when she gets her ETSY shop up and ready, I'll show you some of it!